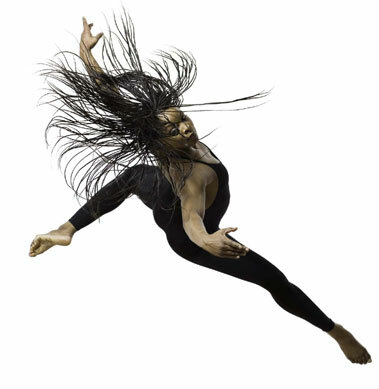 Joan Myers Brown wanted her favorite choreographers represented for her hometown 40th anniversary season in November and asked frequent collaborator Christopher Huggins to create something unique for the occasion. The audience burst into applause at the opening picture of Huggins’ premiere of Bolero, which instantly illustrated Danco’s power. A dozen dancers are posed, ready for flight, silhouetted over a red backlighting, a salon scene d’ action. The women are costumed in short red mini-dresses ala Carmen and the men in corseted belts, cut over matador pants. Set to a propulsive version of Ravel’s Bolero by the Berlin Philharmonic, Huggins choreography is both subtle and pyrotechnic, with something new to say. There are some tango abrazzo and conquistador moves laced in and Huggins makes it fun, uncorking this oft-used warhorse past its horny intellectualism. The women pick up the internal combustion of Ravel, exquisitely danced by Odara N. Jabali-Nash on when her micro – oscillations move to liberated sexual energy. The three central couples smolder with daring lift sequences that keep snaking off of Ravel’s bassoon lines. The finale is full company and taps Danco’s razor-sharp unison work. Huggins’ 2001 work Enemy Behind the Gates is a signature piece and this is an instant classic, already indelibly delivered by these dancers. And the rest of the program was just as strong, comprised of company favorites. Daniel Esralow’s Pulse with the dancers sliding across the stage in iridescent dance togs. Brandon Glasgow pirouette sequences so centered and fast they looked like scratch spins on ice by an Olympian. Suite Otis, George Faison’s classic set to music from Otis Redding. The highlight was the full company Try a Little Tenderness the back half showing incredible clarity, velocity and expressiveness. Jowale Willa Jo Zollar’s Batty Moves The Walkin’ Talkin’ Signifying Blues Hips, Lowdown, Throwdown is unblinkingly about the motion poetry of the lower half of the female body. Chloe O. Davis’ opening is a take-no prisoners-solo as she pulls up to the bumper with booty struts, grinds and pumps that cause a seismic housequake. After the ladies put the audience in a derriere trance, JMB, the lady herself, strolls on and shows the girls how to really do it. At 40, Danco never looked better.